As you make your world travel dreams come true, show off your progress—and plan future adventures—on this colorful travel map. 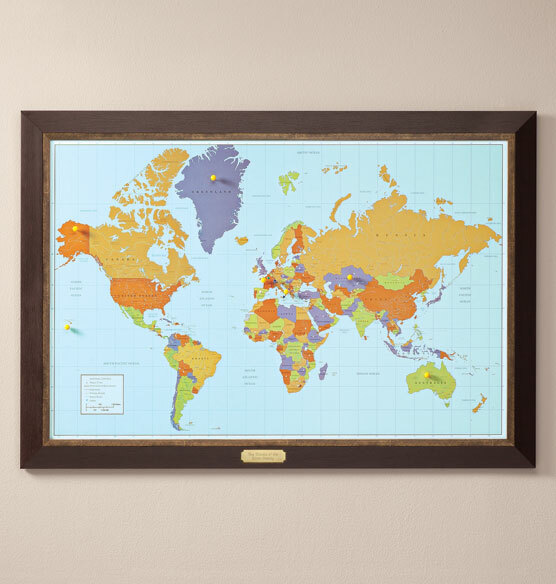 The rich walnut colored wood frame with a bronze bevel complements nearly any décor. 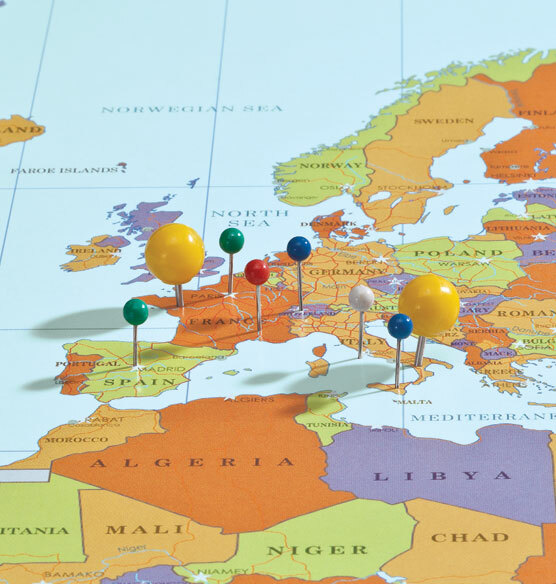 Multi-colored pushpins make it easy to mark your destinations. 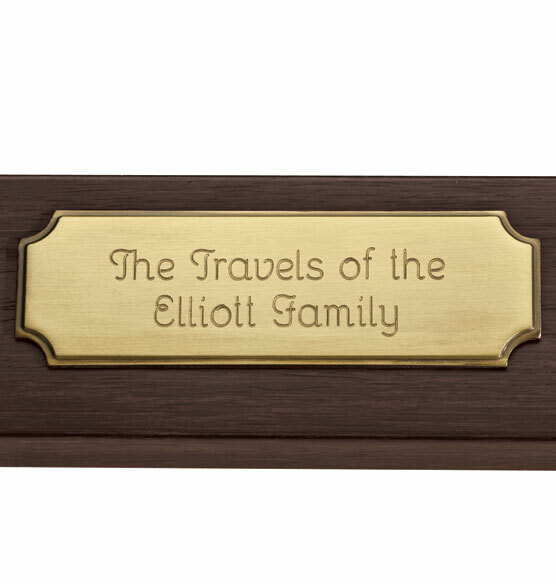 With your name and a personalized message engraved on the included brass plaque, you’ll create a one-of-a-kind family travel heirloom. The proportions on this map are terrible and very skewed. If we were to believe this map, Greenland is the second largest country in the world. It makes the rest of the map terribly small. Would not buy again and expect better for $200 dollars. BEST ANSWER: Thank you for your question. It is 39" wide x 27 1/2" high x 1" deep. We hope this information will be of help to you. Can you buy extra pins? BEST ANSWER: Thank you for your question. Unfortunately no, we do not carry the pins.We hope this information will be of help to you.